State of Emergency Completely Lifted! 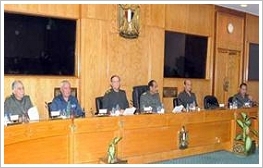 On 24 January 2012 the ruling Supreme Council of the Armed Forces (SCAF) announced the partial lifting of emergency law which was in effect since the assassination of president Anwar el-Sadat in 1981 and allowed the prohibition of political gatherings and protests as well as the detainment of people without trial. Since 25 January 2012 the emergency law was limited to acts of thuggery and drug-related crimes. 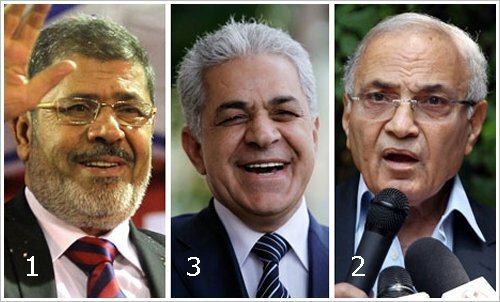 On 17 May 2012, Egypt’s newly elected parliament called for an ending of the law by 31 May with no possibility of further extensions. This afternoon, the SCAF announced to fulfil the demand! The result was more than surprising. As none of the candidates got the required majority of votes there will be a run-off between the first two scheduled for 16 and 17 June 2012. On occasion of Howard Carter's 138th brthday Google created a special logo (Doodle) for its search page. Thus, if you use the search engine today you will see the new design that honors the famous discoverer of Tutankhamun's tomb. On November 04, 1922, after years of work in Egypt Howard Carter found the steps leading to Tutankhamun's tomb in the Valley of the Kings on Luxor's west bank. The tomb contained 5.398 objects, the most popular is the golden mask of King Tutankhamun's mummy. While the mummy still rests in his sarcophagus in the tomb 3.500 found pieces were brought to the Egyptian Museum in Cairo..
Did you know that Madrid owns a complete ancient Egyptian temple? In 1968, the Egyptian government donated the Temple of Debod to the Spanish government as a sign of gratitude for the help provided by Spain in saving the Temples of Abu Simbel. In 1970, the huge blocks of stone were shipped to Madrid and (not quite true to original) re-constructed at an artificial lake in one of Madrid's parks. There, at a former military area close to Parque del Oeste the temple is open to the public since 1972. The Temple of Debod dedicated to Isis was built originally 15 km south of Philae and 45 km south of Aswan on the western bank of the Nile. In 1960, due to the construction of the Great Dam of Aswan and the consequent threat of flooding by Lake Nasser posed to many archeological sites, UNESCO made an international call to save this rich historical legacy. In 1961 the temple was taken to pieces and stored temporarily on Elephantine Island. The Temple of Debod is one out of four temples that Egypt generously donated affter that: Spain received the Temple of Debod - which was actually reserved for Germany, but the Spaniards utilised their diplomatic ties -, Holland got the Temple of Taffah (Leiden), the US recieved the Temple of Dendur (New York), and Italy the Temple of Ellesiya (Turin). However, the Egyptian presents were linked with restrictions: The temples should be open to pubic viewing - so far, so good - and, due to quite different climatic conditions in these countries, should be rebuilt in sheltered rooms. This condition is met in Leiden, New York and Turin where the temples are in museums. Unlike Madrid: There, the temple has to deal with Madrid’s polluted air and unfamiliarly extreme weather conditions. Who will save it now?